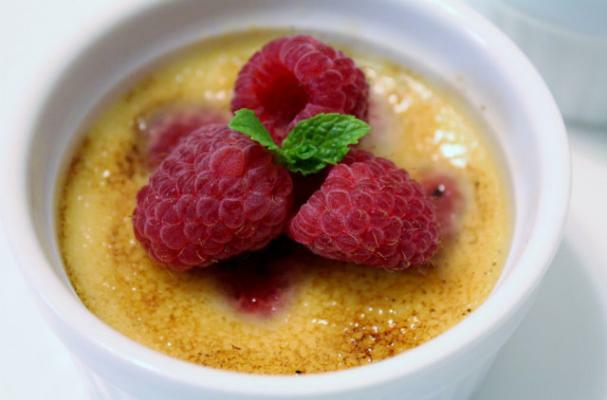 Get into the Valentine's Day spirit with this Raspberry Creme Brulee recipe! The fresh raspberries give the brulee a nice touch of red, making it perfect for Valentine's Day. With a bit of vanilla and orange zest, this dessert is full of flavor and is sure to impress whoever you happen to be making this for. To see the rest of the instructions for this Raspberry Creme Brulee recipe, click here.